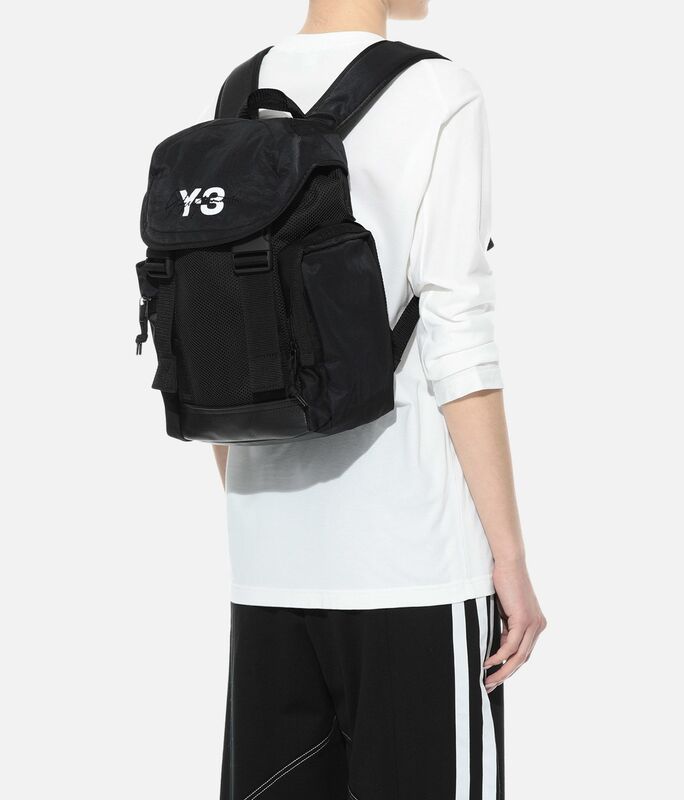 The Y-3 XS Mobility Bag is a minimalist yet functional companion for your travels. 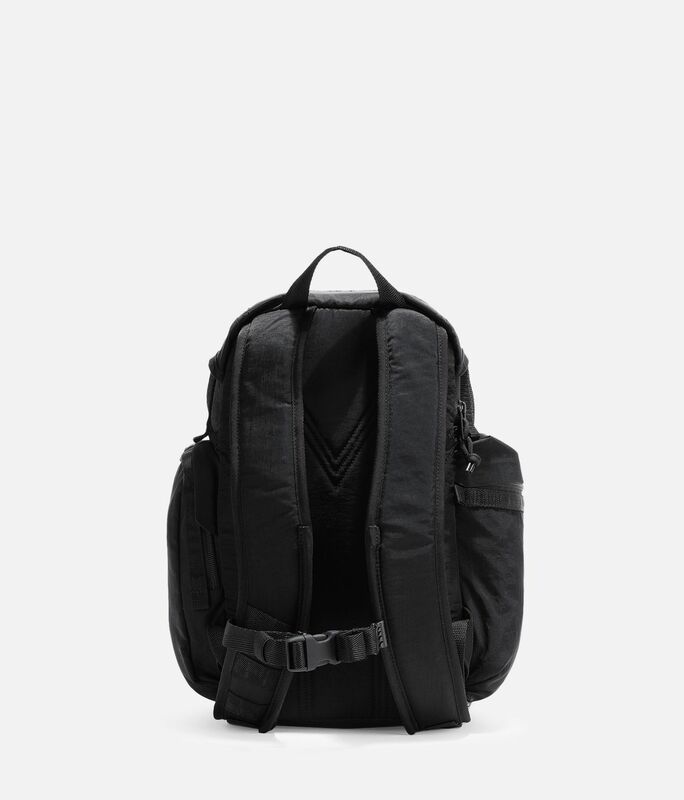 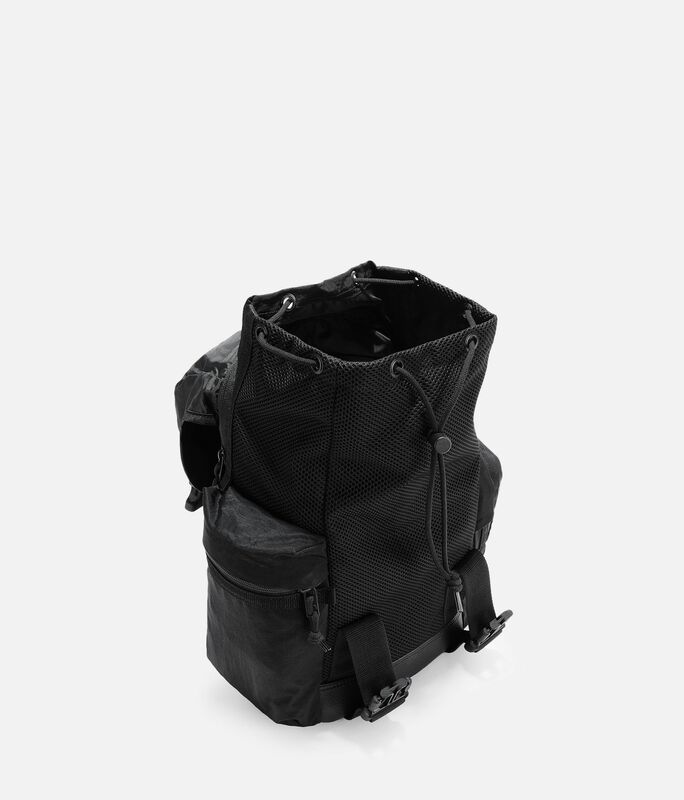 Secured with a buckle closure and large flap, this sleek nylon backpack features multiple pockets and a separate padded compartment for safe laptop storage. 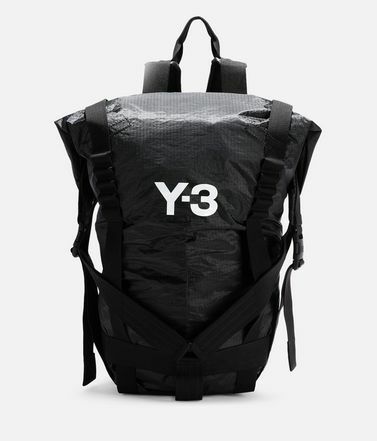 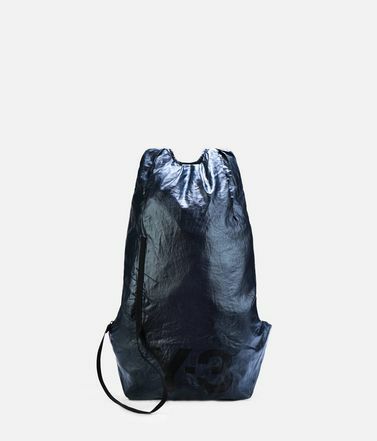 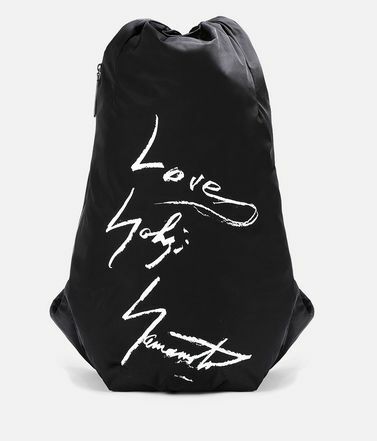 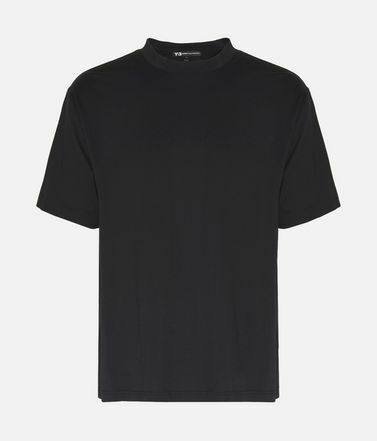 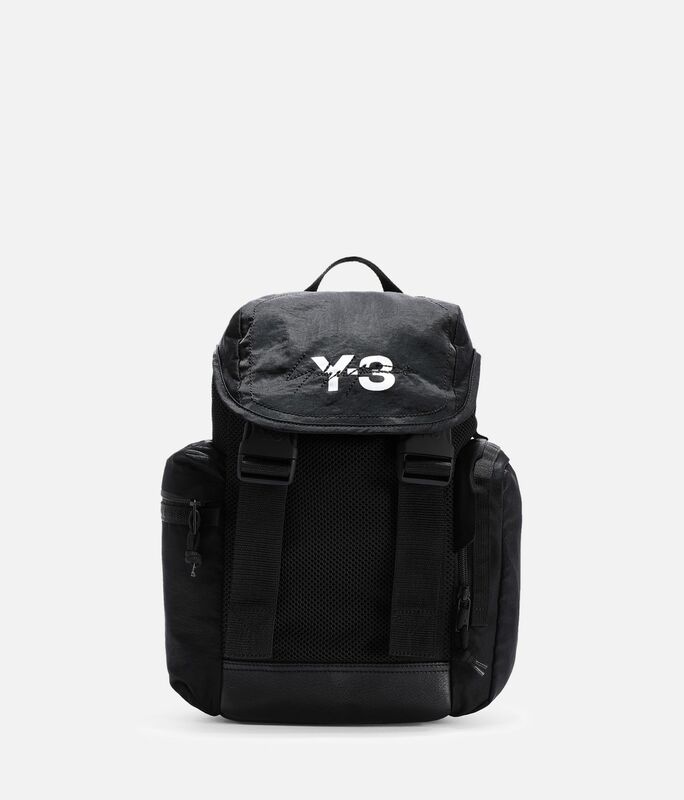 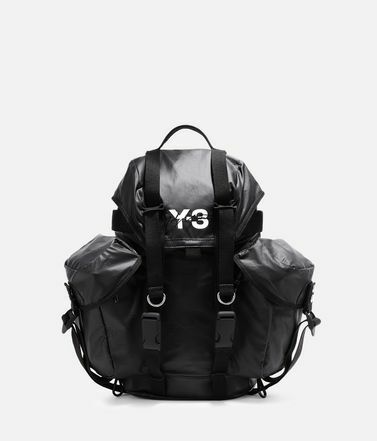 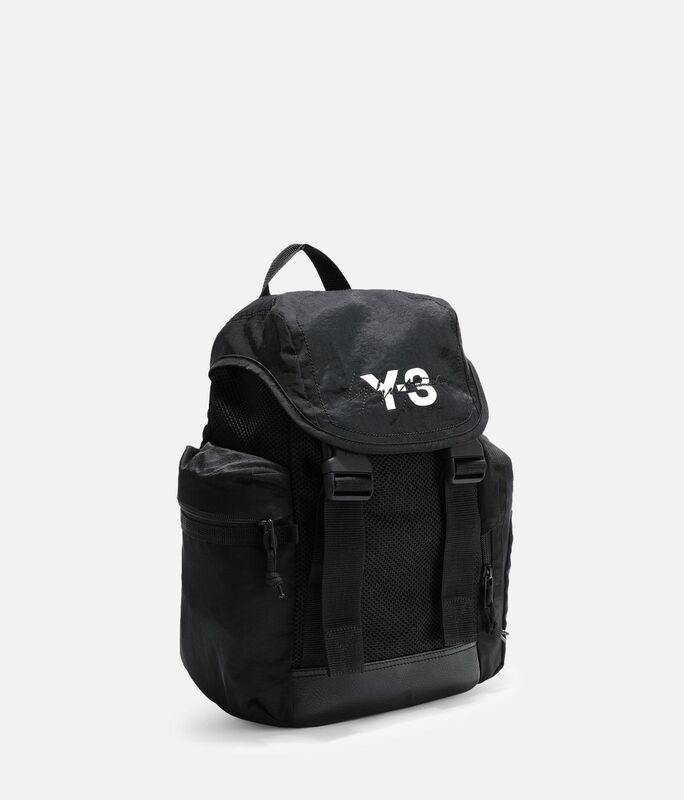 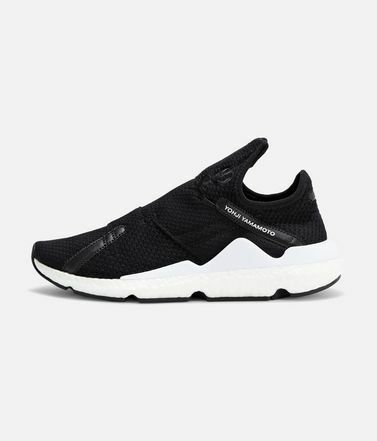 Side push-button pockets; Inner zip pocket; Padded laptop compartment.Flap and buckle closure.Y-3 logo.Dimensions: 21 cm x 34.5 cm x 13.5 cm.100% nylon woven.